Kim Novak is a self-taught artisan who has lived and worked in Maryland for most of her life. As a result, she has a deep appreciate for coastal areas, water, and wildlife. 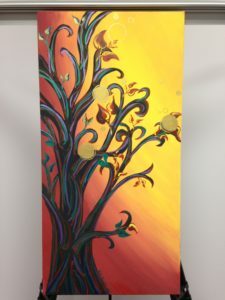 She draws on nature and God’s creation as her main source of artistic inspiration, leading to works of art taking the form of textiles, yawn, leather, glass, paper, canvas and more. Kim loves exploring new tools and mediums, as these are some her favorite aspects of creating art. 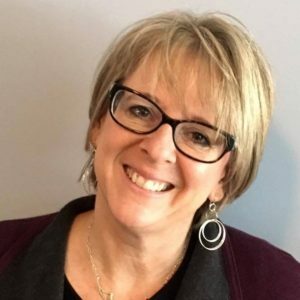 Kim has had the pleasure to work with children in the art field for seven years as an instructor, and for the past three years has been using her craftiness and creativity to serve older adults. She has a part-time jewelry business and occasionally instructs group classes for special events. She loves working with people. 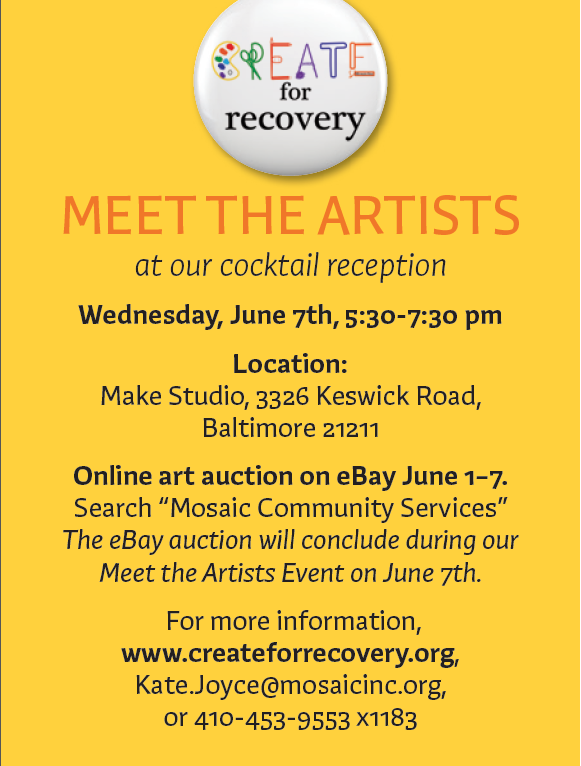 She was drawn to the Create for Recovery campaign due to her appreciation for the mental health field and her belief in the power of art to help individuals change and grow. Her painting, “Stages,” strives to encapsulate many various stages in life, whether in development, grief, love, or recovery. Some stages are dark yet beauty can still be found there. Sometimes stages are slow or stunted, other times they happens so quickly, the progression is easily missed. Ultimately growth through various stages will result in something outside ourselves, a product that can go beyond us and influence others, a result that may or may not been seen but that orchestrates positive change.